Pasta recipes are great dishes that can be customized for enjoying in each and every season, by using the ingredients that are available at that time. Springtime has some super bright and flavorful recipes due to the wonderful array of fresh produce that's available during this season. It's these ingredients that make these easy, delicious, and satisfying pasta dishes ideal for enjoying during dinner on cool spring evenings, or eating for lunch or a late night supper on warmer days. Below you will find our 10 best spring pasta dishes you can make and enjoy this season. Asparagus is at its best in spring, and this easy-to-prepare pasta is a wonderful celebration of its clean, grassy flavor. Creamy ricotta cheese adds a sense of indulgence that makes this dish suitable for serving to company, with sunny lemon adding welcome brightness. It's the perfect pasta for those cool spring evenings when you crave something warming, but also fresh-tasting. This recipe for warm noodles tossed with garlicky shrimp is delicious and so simple to make, it's sure to become one of your go-to spring pasta dishes. Prepare it mild or spicy to your tastes, by adjusting the red pepper flakes. It makes a fabulous weeknight dinner, served with a tossed salad and warm crusty bread. Here's a fabulous spring pasta dish that features a nut-free pesto, so it's suitable for kids and adults following a nut-free diet. You'll never miss the nuts, thanks to the bright, clean and delicious flavors of the genius pesto recipe in this dish. It combines fresh mint, aromatic basil, savory Parmesan, and zingy lemon juice, with green edamame beans adding plenty of protein and texture. Fennel lovers, rejoice! This irresistible spring pasta dish makes use of both the fresh-tasting fennel bulb and fennel seeds, which have a bright, minty flavor. Unfamiliar with fennel? You'll quickly become a fan, once you taste this delicious fennel pasta recipe that you can make in less than 30 minutes, start to finish. Browned garlic and white wine add depth of flavor to this simple, elegant pasta that will quickly become a go-to recipe in your household. Entertaining this spring? Here's an easy and elegant dinner party recipe that you can make in about 30 minutes, and is perfect for impressing guests. Store-bought pesto is perked up with fresh lemon juice and lemon zest, then combined with cream, for an almost-instant sauce that adds a velvety texture and a creamy taste to juicy chicken and tender pasta. 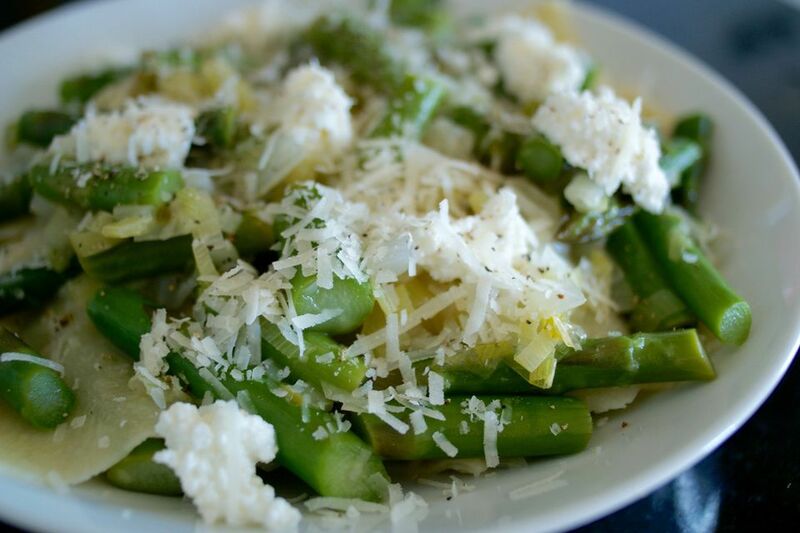 Baby peas and freshly grated Parmesan cheese add the perfect finishing touch. Sometimes, a recipe is so nourishing and flavorful, it's hard to believe that it's made with just a few ingredients. This rich spring pasta recipe with sun-dried tomatoes, artichoke hearts, and fresh chopped basil delivers unbelievable taste and is an absolutely fantastic vegetarian and vegan pasta dish. Swap in fresh pasta for dried, for an even more impressive presentation. This healthy, flavorful chicken and pasta dish is simple to prepare and perfectly delicious to eat. Spinach, garlic, and Parmesan cheese are all that's needed to elevate this easy chicken pasta recipe you can feel great about serving to your family. Serve it with a tossed salad on the side, for a fabulous everyday meal. This fabulous spring pasta recipe is so healthy and delicious, you'll want to make it every week. Salmon and crisp, fresh spring vegetables combine in a creamy sauce for a warming, satisfying pasta dinner with a wonderful texture and taste. Serve it in white bowls for an elegant dinner party dish, along with a tossed salad, crunchy bread, and maybe some crisp white wine. Mama mia, now that's a pasta! 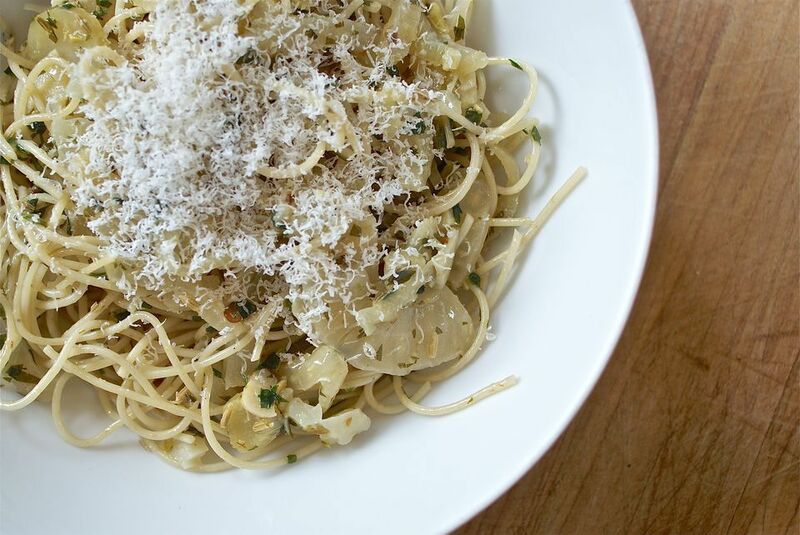 Spring is garlic season, and the Naples classic of spaghetti with garlic and olive oil (in Italian, spaghetti all'aglio, olio e peperoncino) is one of the simplest, quickest, and yet most satisfying, pasta dishes you can make. It's perfect for those weeknights when you're craving something filling and flavorful, and you don't want to wait. Or, make it for a late night supper, after an evening out. Here's an easy one-dish dinner with pasta that's a great weeknight go-to recipe for busy families. Broccoli, garlic, walnuts, and Parmesan cheese combine with freshly cooked pasta for a savory, satisfying family meal. Serve it with whole wheat pasta, for a healthier preparation that tastes great.